Once I read about the symptoms of a leaky gut I was shocked! Have all these chronic conditions and fatigue all been caused by this one thing? What if there was a condition in your body that no one knew about that was slowly harming your body? If you suffer from leaky gut, there is a chance your body is going through turmoil right now and your doctor might not be diagnosing it properly. Considering the incredible amount of damage a person’s body can experience it might be a good idea to learn about it. Leaky gut sounds like it probably has a slew of disgusting symptoms associated with it. But the condition, while dangerous, isn’t really that vile. Instead, it simply affects your small intestine. In this case, the small intestine attempts to absorb the vitamins and minerals in your food. It does this by transferring these nutrients into the bloodstream through the tiny pores in it. The blood then moves the nutrients where they need to go in the body. 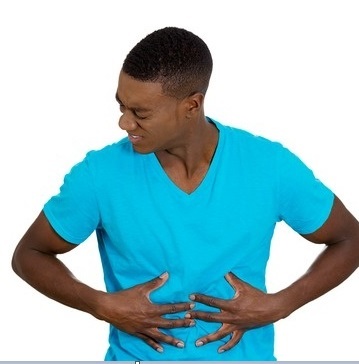 When a person has leaky gut the small intestines filter, no longer has the ability to block everything but nutrients from entering the bloodstream. That means toxins and some food particles are released into the system, where they can wreak havoc on a person’s body. The body then realizes there are items in the body that are not supposed to be there. It begins to try to remove these foreign objects and it causes a person to experience allergies and other health concerns as it tries to fix the problem. That is important to note, it is the body addressing the foreign objects in the body in order to protect it and that manifests as symptoms that one wouldn’t associate with the stomach. For example, a person may experience skin problems, heart failure, immune system problems, thyroid issue, mental illness and more. That means that leaky gut syndrome is more than just a simple annoyance you have to deal with. It’s a very real condition you need to address and take care of before it is too late. The sooner you begin to address these conditions, the sooner you can begin to focus on the healing process. What should be noted is that many of these conditions can begin as soon as infancy in a person. That means you might have lived with some of these conditions all of your life and felt like they were normal. But as you’re now discovering, they are associated with a condition that does have a solution. Now that you know some of the symptoms, you then need to determine if they are linked to leaky gut. Not every person who experiences the mentioned symptoms are actually experiencing leaky gut. But if the follow signs are similar to what you’re experiencing, then there is a good chance that you are suffering from leaky gut and need a solution. If you are routinely sensitive to certain foods, there is a good chance that your leaky gut is the culprit. The reason is that there are toxins entering your bloodstream each time that you are eating certain foods. This causes your body to naturally produce an insane number of antibodies just to offset things. This is especially the case when you are susceptible to things like dairy or gluten that can cause your system to go into turmoil and cause problems. Hungary researchers found that leaky gut is often localized at the colon in patients who are struggling with ulcerative colitis and irritable bowel syndrome. This means that a person may end up suffering from these diseases and a solution might be just changing the person’s diet. Additionally, there are possible genetic conditions that tie Crohn’s disease to this condition. In these cases, a simple Zinc supplement can be enough to help a person to experience results and to begin feeling better. Zonulin is a protein that is found in some foods. When a person consumes this protein, it can cause an immune response that causes a person’s digestive system to experience symptoms of leaky gut syndrome. This protein is found in gluten and can have dangerous side effects in some people. This is why it is important for those who are knowingly sensitive to gluten to avoid its consumption, because of the heightened dangers it possess. Hashimoto’s disease is perhaps one of the most common thyroid diseases that are associated with thyroid problems. This condition can cause problems with a person’s metabolism, depression, weight, fatigue and lead to a growing list of concerns if it remains untreated. 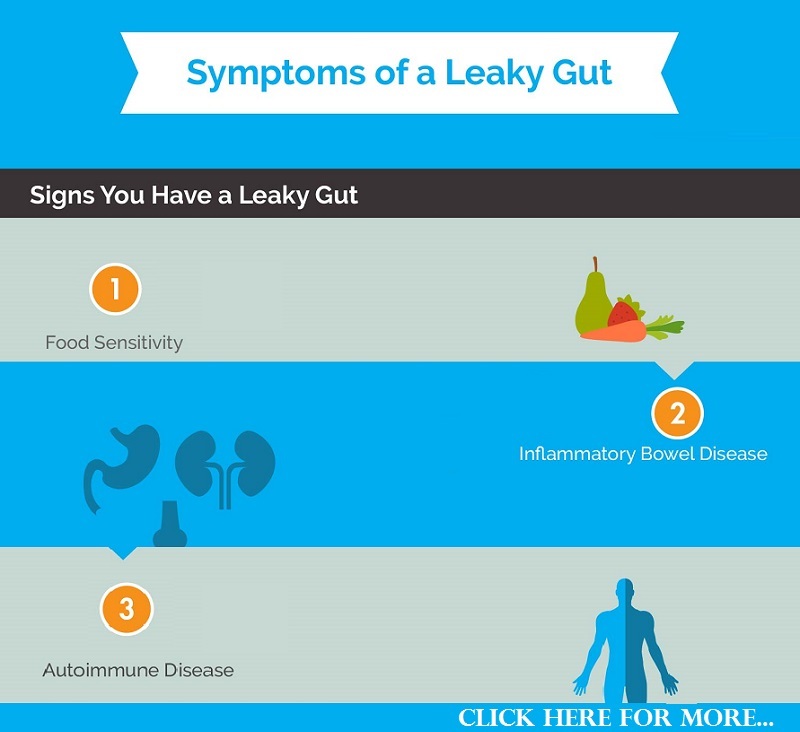 It is important that if you experience any of these conditions that you take the time to treat leaky gut syndrome in the body. After all, the condition isn’t going to improve on its own, it does require an individual to take action. A person struggling with leaky gut will find their body is experiencing nutritional deficiencies with certain nutrients. For example, B12, magnesium and other nutrients that are vital for the breaking down of food may be a low levels in their system. When a malabsorption concern is recognized, a person should consider adding a probiotic and whole food multi vitamin to their daily routine. These can help to boost your levels and give you the nutrients you need in order to begin offsetting this concern. After all, your goal is to start looking and feeling better. This isn’t a new condition at all. For more than 70 years, there has been a degree of understanding about the connection between the gut and your skin. When a person has problems with their gut, it has manifested with skin conditions. This includes an increase in acne, psoriasis and other conditions. While creams and drugs that further damage may occur, a person can treat all these conditions by simply addressing their leaky gut. Studies suggest leaky gut might be an underlying cause associated with mood and autism. This includes a person experiencing depression, anxiety and even autism. Because of the link, those with these conditions should explore the treatment options that they have for leaky gut syndrome. They can then determine what solutions will work best for them. Sometimes you don’t even know you have leaky gut because you think you feel “fine.” You have convinced yourself that the general tiredness, lack of energy, bloating, etc… is just your version of normal caused by stress, lack of sleep or just getting older. What if it is not? Wouldn’t you want to fix what is robbing you of the life you could be enjoying more? Why Wouldn’t My Doctor Know About This or Suggest it? As you learn about leaky gut and what impact it can have on your health, you might ask yourself, “Why isn’t my doctor taking action?” The problem is the medical community isn’t taught about this condition. While food choices can effect so much of our body function, they are taught very little about that in medical school. They are taught to diagnose or name your condition and give you a drug to treat the symptoms. They do not learn to find the root CAUSES so that you can truly heal. Until the mainstream medical community gets on board with it and starts to practice functional medicine, people will continue to have their symptoms treated, without getting to the heart and soul of the matter. When you consider there are solutions out there if you make some simple changes, why would you choose to continue being a slave to condition, when you can just treat the leaky gut? Now that you know you need to heal your leaky gut, how do you do it? It’s a simple four step process that delivers some real first. First, you remove all the foods and items that are causing damage to your gut. These are the items that will continue to cause you problems. Until they are completely removed from your system, you won’t experience results. Next, replace them with foods that are proven to heal. There are countless foods that you can eat that will help to reduce toxins in the body and help to heal and repair it. Make an effort to enjoy these foods and to experience real results. Continue to repair the body with bone broth and supplements that are designed to help with digestion and the function of the gut. As you do this, you’ll start to look and feel better. Finally, re-balance the natural bacteria in your gut. This bacteria helps your body to function and is an important part of the healing process. Probiotics and fermented foods can really help. Remember, you don’t have to be a slave to a leaky gut or many of the chronic problems it causes. You just need to be proactive and to make some changes.